More than 70 years after the Nazi camps were liberated by the Allies, a new Canadian Holocaust memoir details the rural Hungarian deportations to Auschwitz-Birkenau, back-breaking slave labour in Auschwitz I, the infamous “death march” in January 1945, the painful aftermath of liberation, a journey of physical and psychological healing. Tibor “Max” Eisen was born in Moldava, Czechoslovakia into an Orthodox Jewish family. He had an extended family of sixty members, and he lived in a family compound with his parents, his two younger brothers, his baby sister, his paternal grandparents and his uncle and aunt. In the spring of1944--five and a half years after his region had been annexed to Hungary and the morning after the family’s yearly Passover Seder--gendarmes forcibly removed Eisen and his family from their home. They were brought to a brickyard and eventually loaded onto crowded cattle cars bound for Auschwitz-Birkenau. At fifteen years of age, Eisen survived the selection process and he was inducted into the camp as a slave labourer. The author will be donating a portion of his royalties from this book to institutions promoting tolerance and understanding. I had difficulty putting this book down. 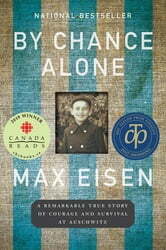 The terrible experiences Max Eisen and so many Jewish people suffered were deplorable. War is an awful thing, it's effects filtering down from generation to generation. I recognize how painful it must have been for the author to expose his lufe. Thank you. The Lord bless you and keep you. As I was born about the time that Max went to the concentration camps it is Unimaginable the horror that he experienced as I was being lovingly welcomed in to my family. Thank you for writing this book and thank you Canada Reads 2018 for choosing it as a book to read . This book should be on highshool and university must read lists. We must never forget especially in this time of rising intolerance. 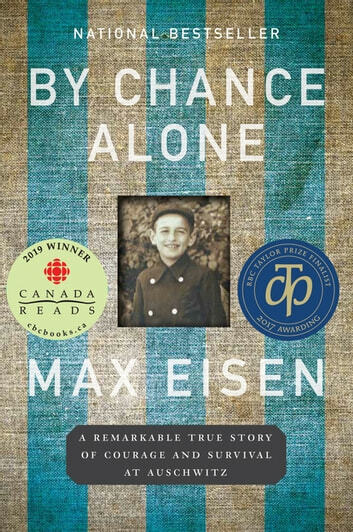 Have Max Eisen come to your schools!